People can always change, especially if they have the drive to. Perhaps you got into some trouble when you were younger and it is still on your record, or maybe you were not at fault but were around people who committed a crime, and it still wound up on your record. Regardless of the situation, you want to better yourself and become a nurse. As a Licensed Professional Nurse (LPN), you will work with children, elders, chronically ill patients, and everyone in between. To try and protect these vulnerable patient populations, the school you are attending will require you to undergo a criminal background check. For some, this is no worry at all, but for others it is a nightmare. Although your criminal record may or may not keep you from gaining licensure, it is best to be honest about your background. Some schools, not all, will dismiss students to try to protect patient safety, but it’s not always a cut and dry situation. Factors such as the severity of the crime you committed, as well as how long ago it occurred prior to applying to your LPN program will be looked at. To see what is on your record, you can actually do your own background check of yourself. Different states have different rules and regulations for doing so, but most should have the same concept. Many nurses use companies such as GoodHire. You can background check yourself in four easy steps. First and foremost, you are going to choose a check that is suitable for your specific needs. Secondly, you will verify your identity, which is very important. Third, you can review your results; they should email you or let you know in some way that your results are ready to be viewed. Last, share your results. No, that does not necessarily mean post your results all over Facebook, but it does mean you should include your results when applying to nursing school. Knowing exactly what crime you were charged with will give you a leg up because you will be able to answer any questions the school or state board may have for you. If it was just up to the school, you may have a better chance of getting in with a felony or misdemeanor, but it is also up to the state board, and they tend to be more specific and look more closely at details. Another option is to request your own FBI background check, or “Identity History Summary”. To do this, you must carefully submit all required materials, including an application and fingerprints, and pay the fee. Keep in mind that processing times are subject to change, so if you decide to go this route, it’s wise to check the FBI website for current processing times to ensure you’ll have your file in time. You may also want to gather any legal documents you have regarding your criminal case, so that you can prove the outcome if needed. It is very important to be as honest on your LPN program application as you can. Being a nurse requires you to be around very pertinent but private information every single day. The board will not want someone around that type of information if they can’t even be honest on their application about any crimes they have committed. If you have not already, it’s wise to try to get your felony or misdemeanor expunged. It is a process, and can sometimes be long, but many feel that the effort is worthwhile. You can even list on your application that you are in the process of expungement if you’ve started it. Do anything you can to try and improve your chances, because the state board will look at what you have done to try to improve your situation. 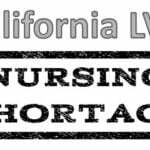 So, can someone really become a Licensed Practical Nurse with a felony or misdemeanor? The true answer is: lots of people will get the chance, but others will not even be looked at. 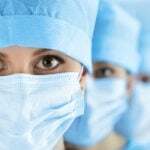 Generally, if it has been five years since the crime, then you can usually find employment in the healthcare field, but that is not always the case. There are no secret instructions on exactly what to do to be able to get accepted, but there are plenty of steps you can take to improve your chances. Stay humble, be honest, and do whatever you can to move forward to a better place.